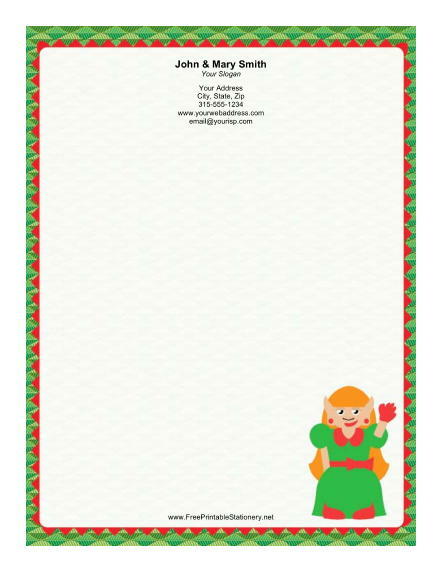 This Christmas stationery design stars a lady elf dressed in green with a red bow surrounded by a red and green border. The border is a gorgeous pattern of interlaced green leaves, with an inner border of bright red triangles. This traditional Christmas border is a great choice for printing any type of holiday letter.